Week 10 of the 2012-2013 NFL season is ready to roll and we have some great match-up’s on hand. 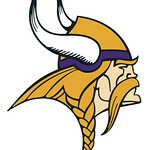 One of the more interesting ones though is between two NFC North rivals in the Detroit Lions and the Minnesota Vikings. These two teams actually started off the season heading in different directions, as the Lions struggled when they were expected to be contending for the playoffs yet again, and the Vikings were expected to struggle but started off very strong. Things have evened out over the past few weeks between the Lions and Vikings though as the Lions have won two games straight and look much better than they did at the start of the year, and the Vikings have lost two straight and are sitting at 5-4 overall. The only difference between these two teams in the standings right now is the fact that the Lions have had their bye week and are 4-4. Obviously this is a huge game and kicks off at 1:00pm EST and will be played in Minnesota. Make some money betting on the NFL! This bookmaker has some of the best lines around! 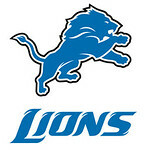 The Lions are fresh off of a three touchdown performance from running back Mikel Leshoure, and are hoping that he can keep things rolling for them. Matthew Stafford wasn’t relied on to do nearly as much as he normally is thanks to the strong rushing performance either, which was nice. He still had some nice connections with wide out Calvin Johnson and his other receivers though, and he’ll probably be relied on a good bit more against a Vikings team who has a strong defense and is good against the run as well. The Lions need to get big road wins like this against divisional rivals. For the Vikings, it’s just the opposite as they need to win as many home games as they can to give themselves an edge later in the season. Beating the Lions at home to end this losing streak is crucial, because if they can’t do it then they are going to be looking at a tough couple of upcoming weeks in my opinion. Expect the Vikings to pound Adrian Peterson all day and hopefully take pressure off of quarterback Christian Ponder, but they are still going to need Ponder to make some plays from time to time if they want to knock off the Lions on Sunday. Ready to bet on the Lions vs. Vikings game? Check out this top sportsbook! The Lions come into this game as slight -1 point favorites. As much as I’d love to say that the Vikings are going to right the ship here and get their season that started off with so much potential going back in the right direction, the Lions are just hot right now. I think that this team is going to go on a nice run here and could even end up pushing on a playoff spot if they continue their strong play. They are going to need the running game with Leshoure to keep going, but I think that they will get enough from him on Sunday in order to help out Stafford, Calvin Johnson, and the rest of the Lions’ passing game. I’m rolling with the Lions to pull out the win by four, and with the line only being -1 that’s going to be my bet here.